Our vast collection of Palliser Loveseats offers a wide variety of designs, ranging from contemporary to transitional to classic. Choose from leather and fabric options as well as stationary and reclining. 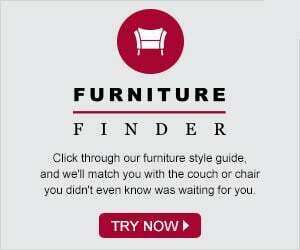 Browse through our complete selection of Loveseats from Palliser below. Whether you’re looking for a cozy place to cuddle with your significant other or new home theater for you and your bro, our Palliser Loveseat category has got you covered. From romantic to downright awesome, we have it all! The Charleston Dual Reclining Leather Loveseat offers exceptional comfort as well as traditional stylings, including rolled arms and detailed nailhead-accents. This Reclining Loveseat is even available with a Power Upgrade, allowing you to fully recline at the push of a button! The Hifi 2-Seat Reclining Home Theater Seating brings movie theater comfort into your very own home. Equipped with dual cupholders, reclining seats and plush cushions, the Hifi is designed to transform your living space into a full on entertainment center. Need your Loveseat delivered in a hurry. Choose one of our Quick-Ship options and receive your loveseat within 7-10 days of purchase.